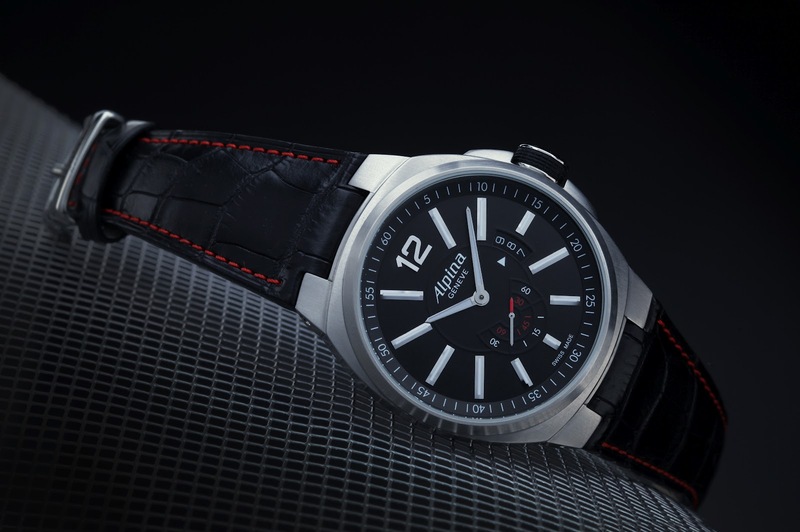 Dial: Matte Black dial with red elements, decorated Alpina triangle pattern in the centre. White luminous Arabic numerals on AL-535AB5AR26, white painted luminous hands. 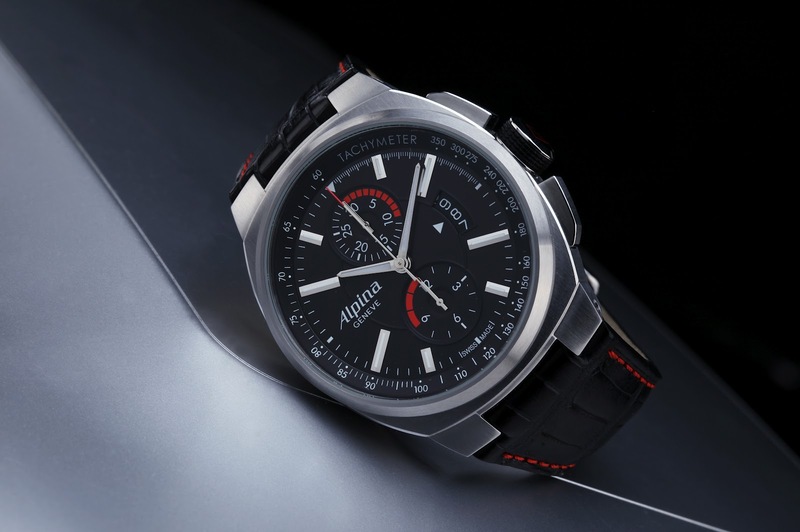 Strap: Black strap with red stitching with black PVD Alpina folding buckle. Functions Hours, minutes, seconds, chronograph and date. White luminous Arabic numerals on AL-725ABR5AR26, white painted luminous hands. 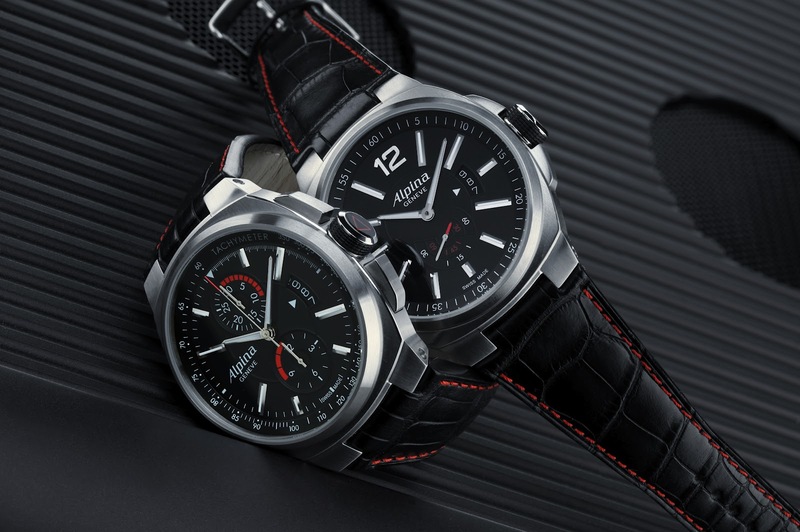 Strap: Black with red stitching with black PVD Alpina folding buckle.